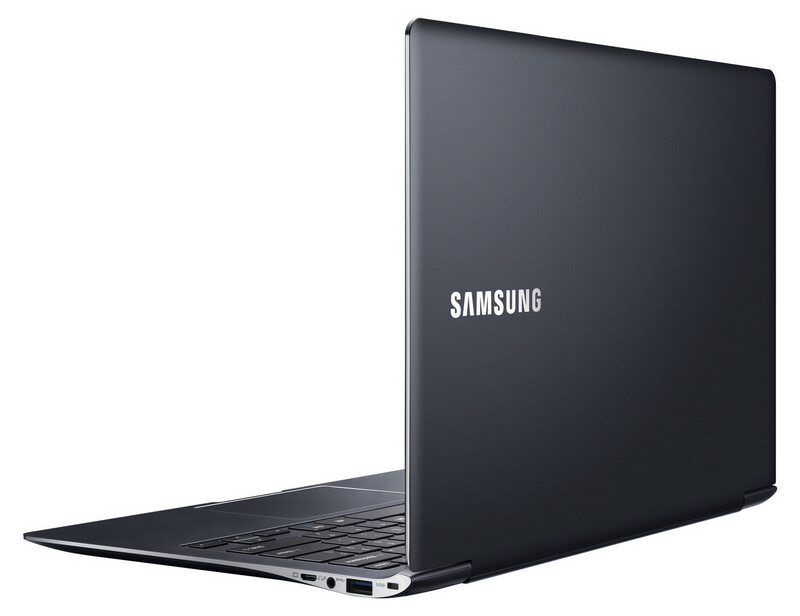 Samsung already had the best Ultrabook on the market, and it's managed to stay on top in 2013, even as its competitors have improved battery life and performance on their own models. 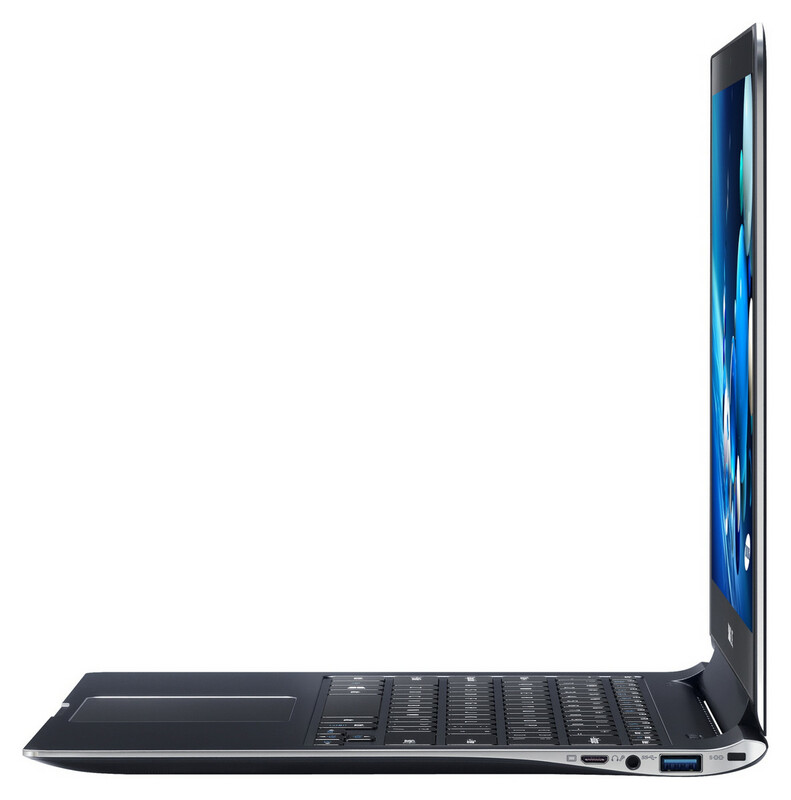 Like its predecessor, the ATIV Book 9 Plus is impressively thin, with an understated design and sturdy build quality. 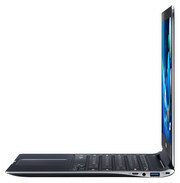 If you absolutely must have that stunning display, then we would wholeheartedly recommend the Samsung Ativ Book 9 Plus. It's built to be future-proof, and you won't be disappointed with any aspect of its performance. Its price is the only area you'll need to convince yourself on. Otherwise, you might want to consider some of its closest competitors. Alternatively, Samsung has also produced a budget version of the Ativ, called the Lite, which sacrifices performance in the quest for a £500 price tag. What a difference a refresh makes. The Samsung ATIV Book 9 Plus improves upon its predecessor in nearly every way, offering much longer battery life and a gorgeous Retina-like display. This Ultrabook also runs cooler than the previous version. 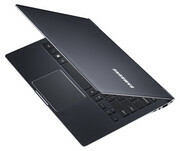 If you own a Samsung Galaxy phone, you'll appreciate how well Samsung's handset and laptop work together. Samsung’s ability to put together a good-looking laptop was already assured, and the Book 9 Plus puts things beyond doubt; topping it off with such an ambitious display is a welcome bonus. However, before you rush out and drop £1,299 on it, it’s worth taking a breath: buy the Book 9 Plus and you’ll be an early adopter. Although it’s heartening to see Microsoft embracing high-definition screens with Windows 8.1, our experience suggests your enjoyment of the Book 9 Plus will depend greatly on individual application support. Positive: Thin and light; good design; high-quality screen. Negative: Short battery life; expensive. Positive: Ultra-high resolution of the screen; slim metal case; good performance. Positive: Super slim and compact design; robust aluminum body; resolution of the screen; loud and clear stereo sound; battery life. Negative: Relatively high price. 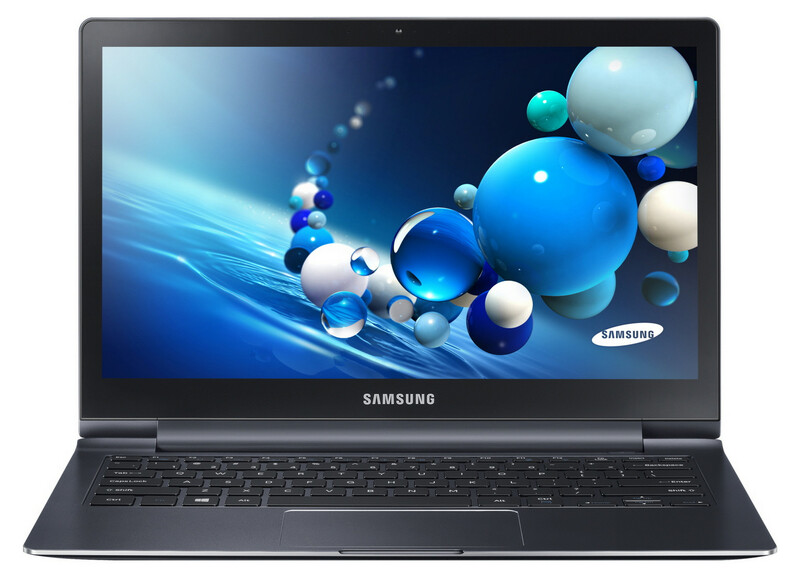 The latest in the Samsung Ativ Book 9 line, the Samsung 940X3G-K01DE is built to represent the pinnacle of Ultrabook glory. Its focus is on high-end design, quality materials and high-end performance, and it has a price to match. The sleek metal casing comes in gun-metal grey. A plastic wrist rest provides comfort for long hours of use, the keyboard is backlit and the touchpad is buttonless. Under the hood is the energy efficient Haswell Intel Core i5-4200U that clocks in at 1.6 Ghz, and goes up to 2.6 Ghz with Turbo Boost. Paired with 4 GB of RAM and a 128GB SSD, fast boot times and zippy performance for most moderately intensive tasks and multitasking can be expected. With the graphics being handled by the Intel HD 4400, this is not a machine for serious gamers, but most casual games should run well. 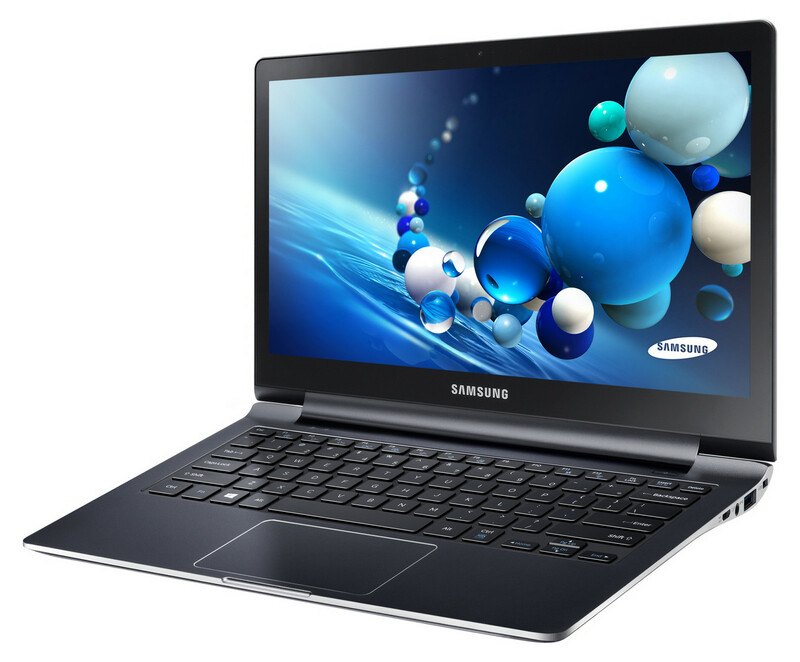 The Samsung 940X3G-K01DE boasts some impressive specs in its 13.3 inch touchscreen. Not content with Full HD, Samsung have opted to provide users with a QHD screen with a resolution of 3200x1800. This may complicate matters when attempting to output visuals to another display. 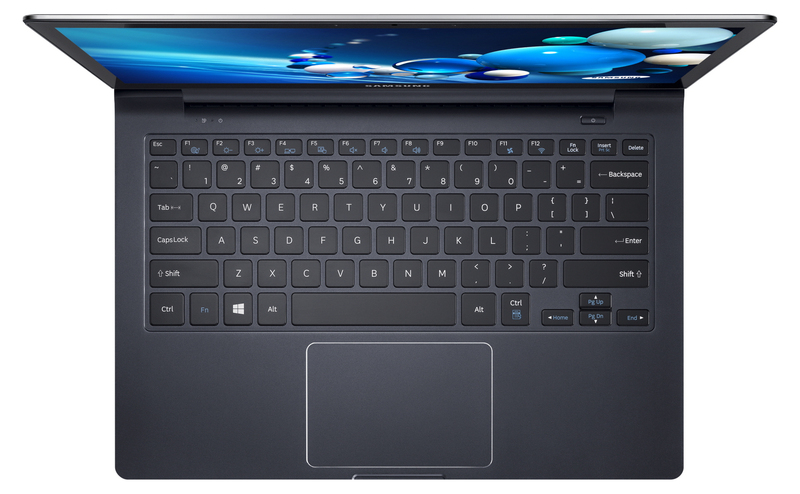 The fingerprint attracting glossy multi-touch screen is a good pairing with the Windows 8 OS. The weight is light at 1.387 kg and the 55 Wh battery will give users close to 8 hours of moderate use which provides a great amount of portability. With its great battery life and performance, this makes a great choice for a portable work machine. However, the minimizing of ports to save space and the QHD screen may provide some users a few barriers to ease of use.